Students study their lessons in different ways. Some study seriously. Some would just take a glance at their notes. 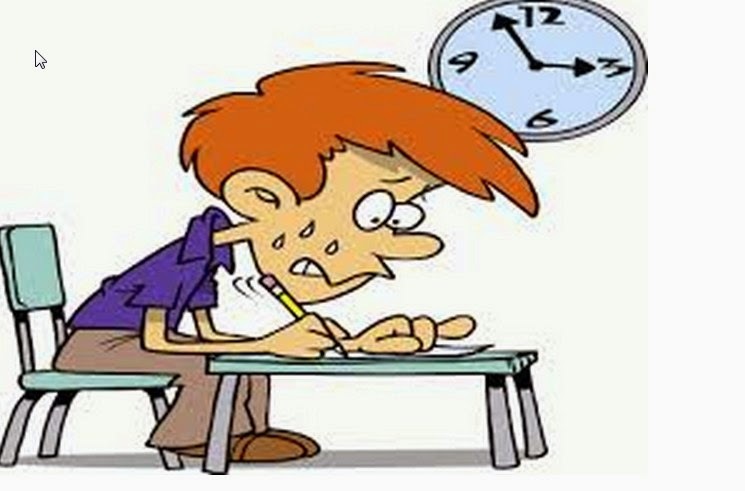 However, studying is not enough; there are still things that should be done to before taking the exam. Studying lesson is an effective way to pass the exam, however, it is also important for the students to be physically fit and mentally alert one day before the exam or on the day of the exam. That way everything that you have studied will be retained in your minds and will just come out spontaneously as you take the exam. 1. Preparing all the things that you should bring and need for the exam one day before the exam date. If the exam will be given in another venue, you have to check on the place or the venue, the room number and the time of the exam. 2. Eat Your Dinner and Sleep Early- a nice sleep means a lot. It can clear your mind and can make you cool and confident. 5. Be Early or go to the exam venue early so that you will be able to find your designated room and seats. 6. After receiving the test questionnaire, read the instructions carefully. Keep your mind open and don’t panic. Concentrate always so that you will not get distracted Another important thing for you to do is to be Optimistic. Always bear in mind that you will really pass the exam. A good tip I give students: Find your perfect seat! some people like to be near a window, some find the window distracting, look around the room, think about things that might annoy you, front of the room back of the room, by the door?. We all have places in a room we like and places we do not like, try to get it right.